A prime example of this Mid-South small town benefit was the installment of Dale Chihuly’s glass sculptures at Cheekwood Botanical Gardens. Did I say easily accessible and not overly crazy? Well, that changed for us when we tried to have a dinner & art date night with some friends. The line of cars went down the block, around the bend and down another block…We had to try the following week, and a bit earlier in the evening. With better planning it was a success. 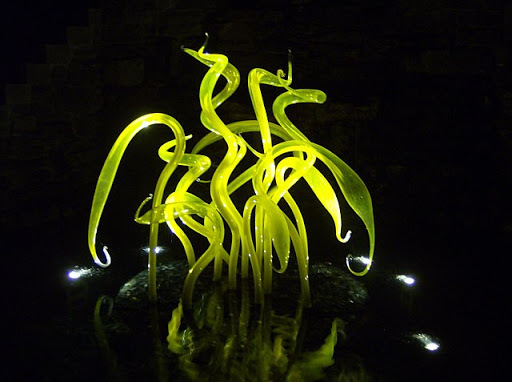 Chihuly Nights at Cheekwood was so popular that the exhibit was extended a couple of weeks past its deadline! The weather turned frigid on us but it was a surreal experience nonetheless. 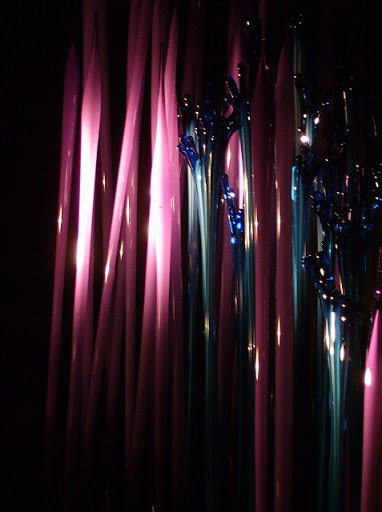 Not every piece or installation was cleverly lit, but each one was certainly unique and beautifully created. I did hear, however, that the exhibit was pretty spectacular during the daytime as well. These photos were the best of the lot that I captured with my little digital doohickey. This post is so late because my doohickey decided to go all doodoo on me and not function properly. The last couple of posts have featured pictures taken with my phone (boo), and will continue as such until I save up moolah for another doodah (…doodah….). 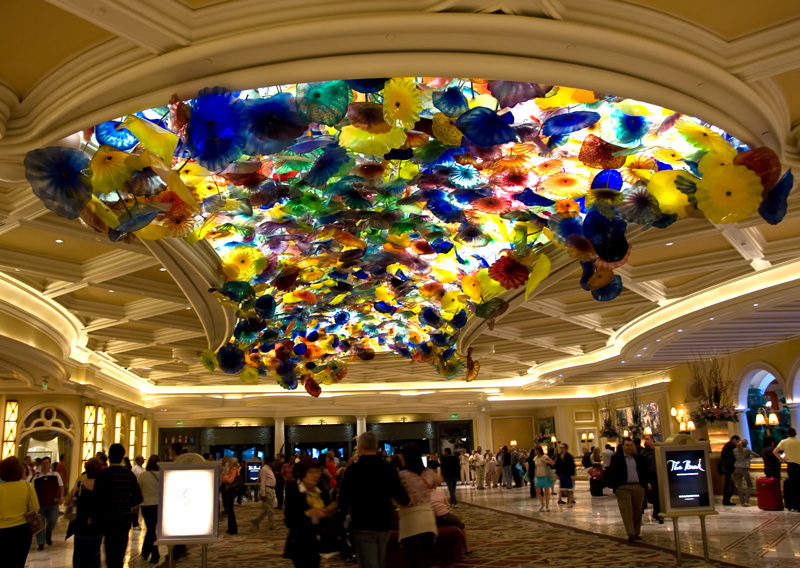 I have been in awe of Chihuly since my first visit to the Bellagio Resort in Vegas. A-freakin-MAZING. There are also great documentary films of his installations that you can get at the library. It’s mesmerizing, really.